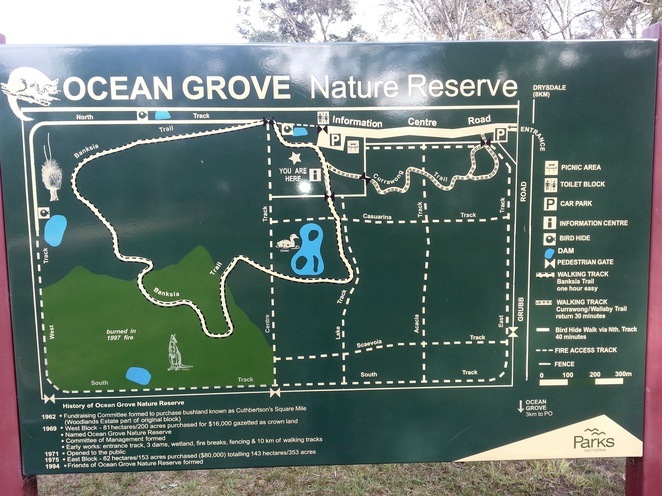 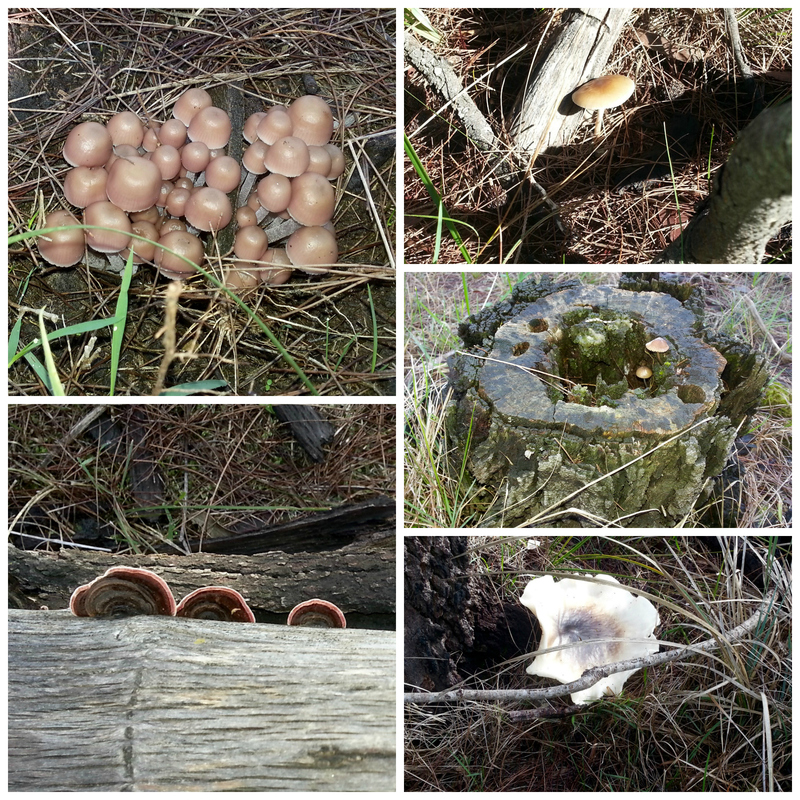 Ocean Grove Nature Reserve is a woodland located in Wallington, near Ocean Grove. 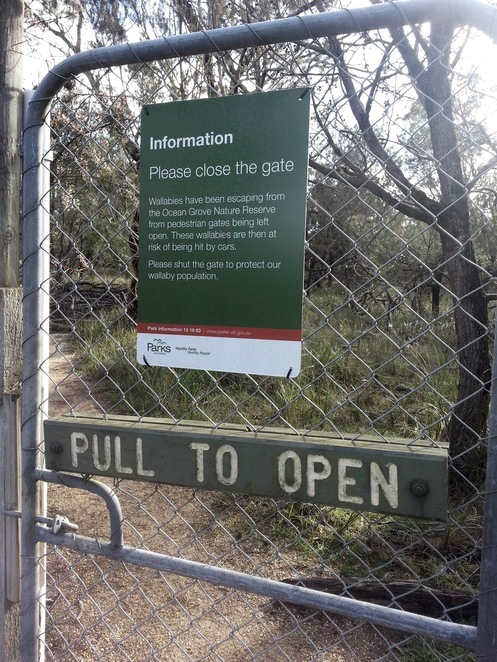 Access is via Grubb road, and the gates are open until 5pm. Once you turn off Grubb road, follow the dirt road until you reach the main carpark area. 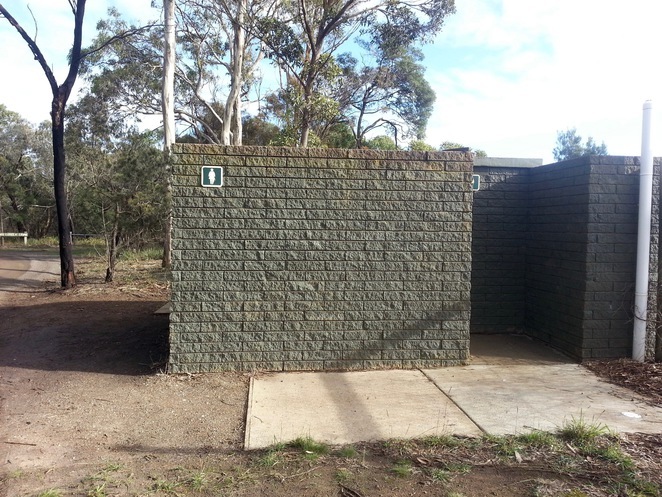 Here you'll find a toilet block, visitor information centre, picnic tables, and a map of the reserve. 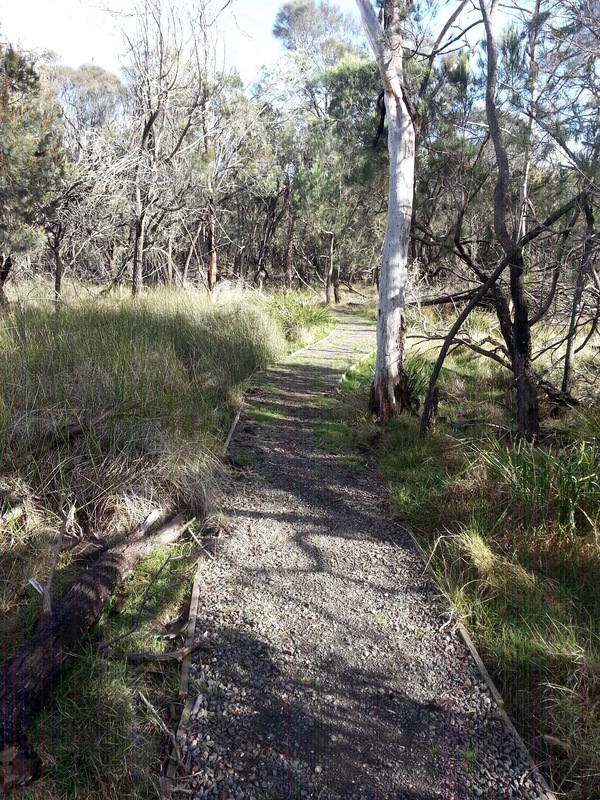 The Bird Hide Walk via. North Track, a 40 minute walk. The main woodland is fenced to keep the wallabies in, and there are access gates on the walking tracks, with signs reminding visitors to keep the gates closed. 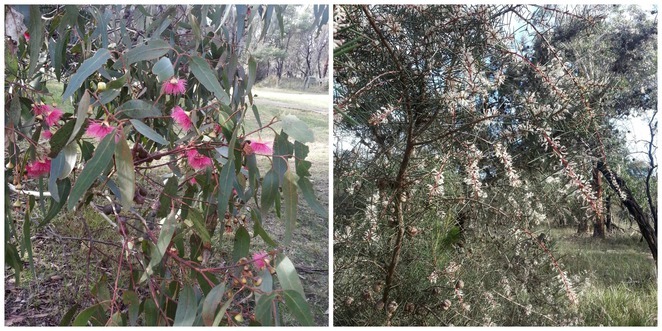 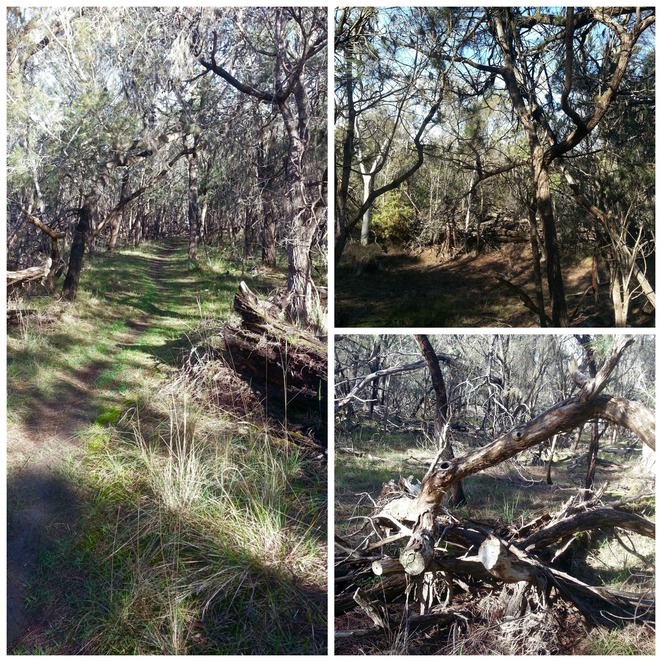 Although I only spotted a couple of birds, the woodland is known to be home to a range of wildlife, including wallabies, possums, lizards and snakes, as well as being home to 178 species of native plants. I also noticed an incredible number of different types of fungi, moss and lichen growing amongst the trees and leaf litter. 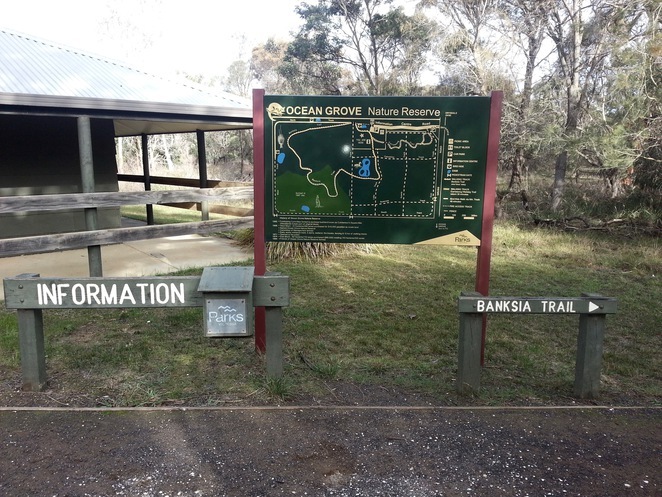 Parking: There is a small carpark just inside the entrance, and a main carpark near the Visitor Information Centre. 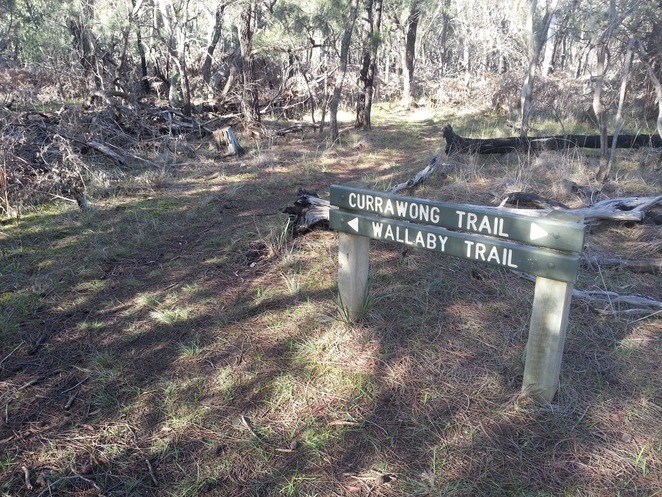 Walk Suitability: The walking tracks are flat and suitable for children, however they are littered with sticks, sheoak pods, and the occasional branch, so the trails may not be a suitable for people who are unsteady on their feet. A small section of the Wallaby Track is covered with gravel, and some other sections of the track can get a bit muddy and slippery if it's been raining. 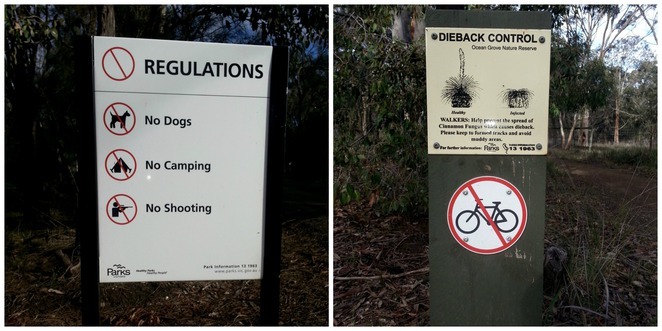 Dogs, Camping, Shooting and Bikes are not permitted in the reserve. 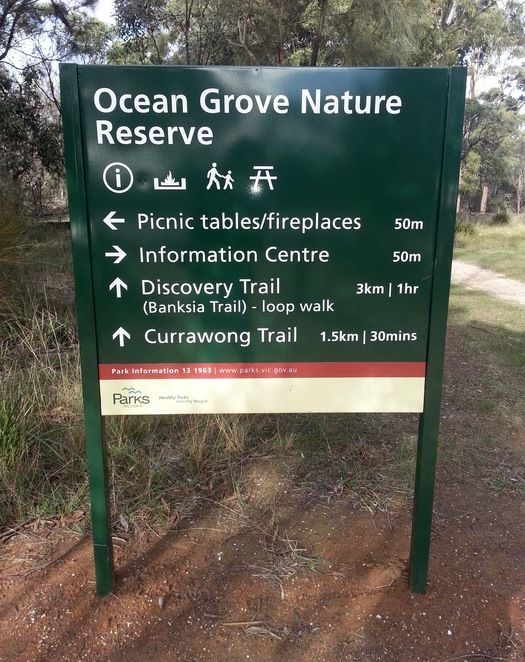 Visitors are also requested to keep to the formed tracks. When: Any time. 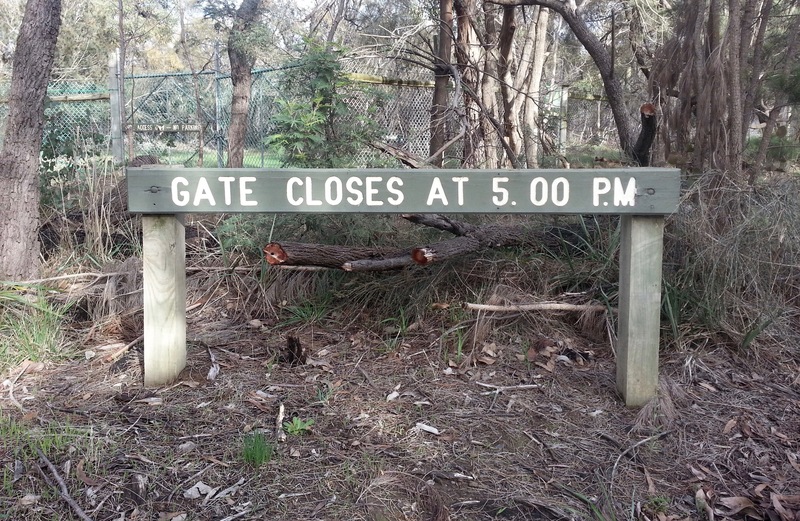 If you are driving, the gates to the reserve close at 5pm.